HELP make this film happen and be a part of our team!! 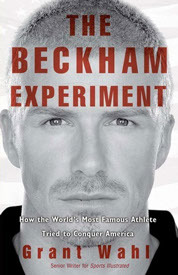 Bend it like Beckham when you read your very own signed copy of soccer journalist GRANT WAHL's acclaimed book "THE BECKHAM EXPERIMENT" - ONLY 5 AVAILABLE so get 'em fast! See yourself in the Football for Hope Action! 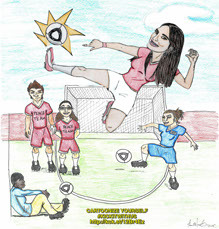 as our team member - emerging artist Luis Mendez- caricatures you onto the field! Get singer-songwriter and activist Emily Cavanagh's DVD package, including a special MUSIC VIDEO about a Rwandan refugee porduced by the director, Shilpi Gupta. PLUS a digital download of the CTG ORIGINAL SOUNDTRACK when it is available, featuring Cavanagh and awesome local hip hop artists across three continents and Digital Download of CTG when it's available. 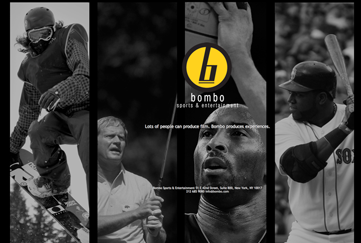 Add to your DVD collection with an amazing MULTI-SPORT 5 DVD BOX SET from BOMBO Sport & Entertainment - ONLY 5 SETS LEFT, so get 'em fast! who donated to our Kickstarter. *Changing the Game is a sponsored project of Fractured Atlas, a non-profit arts service organization. Contributions for the charitable purposes of Changing the Game must be made payable to Fractured Atlas only and are tax-deductible to the extent permitted by law.